The Waterfall 36-inch bath vanity has solid oak wood construction in espresso and was pre-treated for water resistance. The integrated tempered glass countertop and sleek design exude contemporary elegance in your bathroom. 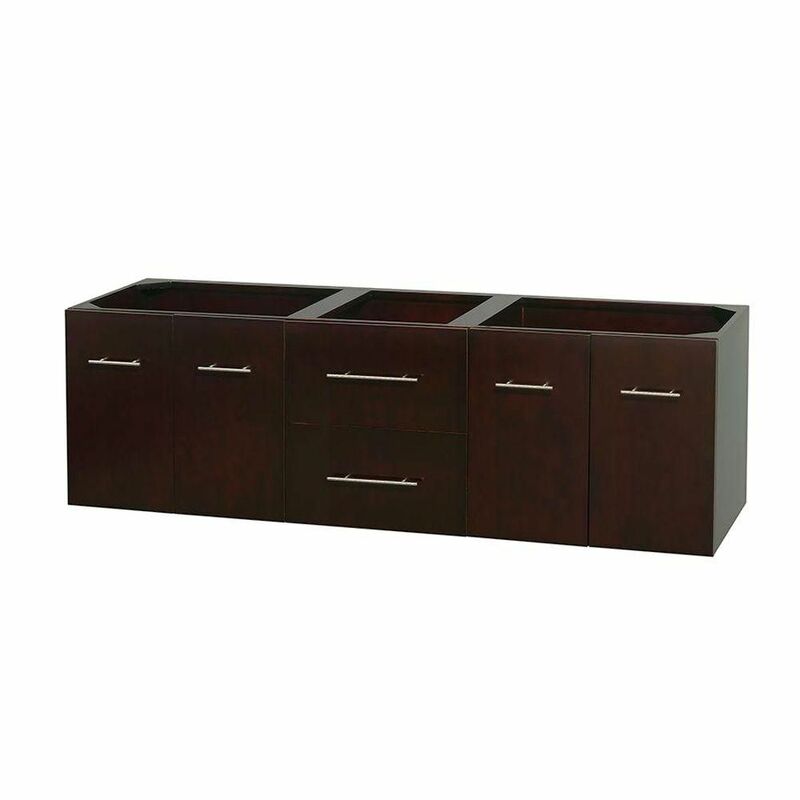 This stylish unit includes a soft-closing double-door cabinet with matching solid oak wood handles for a seamless look. Modern convenience meets traditional style in this fully assembled Teagen 36In. vanity combo. Enveloped in a rich Espresso finish, this vanity is accentuated by 3 raised panel doors with concealed adjustable slow close hinges and 1 left recessed drawer. Enriching the dark tones of the vanity is a beautiful beige engineered stone top with 8In. center faucet drillings and optional backsplash. Pre-attached to the top is a square white vitreous china undermount sink. A full suite of coordinating products are also available. Centra 72-Inch Double Vanity in Espresso Simplicity and elegance combine in the perfect lines of the Centra vanity by the Wyndham Collection<sup></sup>. If cutting-edge contemporary design is your style then the Centra vanity is for you - modern, chic and built to last a lifetime. Featuring soft close door hinges, drawer glides, and meticulously finished with brushed chrome hardware. The attention to detail on this beautiful vanity is second to none. Available in several sizes and colors.